Shh — don’t tell anyone; but the weather is not always inclement in Seattle. Yes, enjoying amazing views from a distinctive part of the skyline known as the Space Needle without rain is actually possible; and gastronomic delights await you at the bustling Pike Place Market. Mmm…you can almost taste that fresh-caught salmon for which the Specific Northwest — a moniker I affectionately give to the region — is known. Two people enjoy a day at Snoqualmie Falls. Photograph ©2013 by Brian Cohen. Those are just some of the many things you can enjoy in Seattle — and Marriott has a sweet incentive for you to stay in the Seattle metropolitan area and experience the plethora of things it has to offer. You can earn 2,000 bonus Marriott Rewards points per stay at your choice of six different hotel properties in Paris from Sunday, August 26, 2018 through Saturday, November 3, 2018 — but you must book your reservation by Saturday, November 3, 2018 and use promotional code M11. The bridge at Deception Pass at the northern end of Whidbey Island. Photograph ©2013 by Brian Cohen. If you do not mind changing from one hotel property to another during your stay, you can potentially maximize your earnings of bonus Marriott Rewards points by trying out some — or all — of the hotel properties which are participating in this promotion, as no requirement of the minimum number of nights you can stay in any of the hotel properties seems to be indicated in the terms and conditions. I always enjoy my trips to the Seattle metropolitan area, as it has so much to offer — but please do venture outside of the city as well. 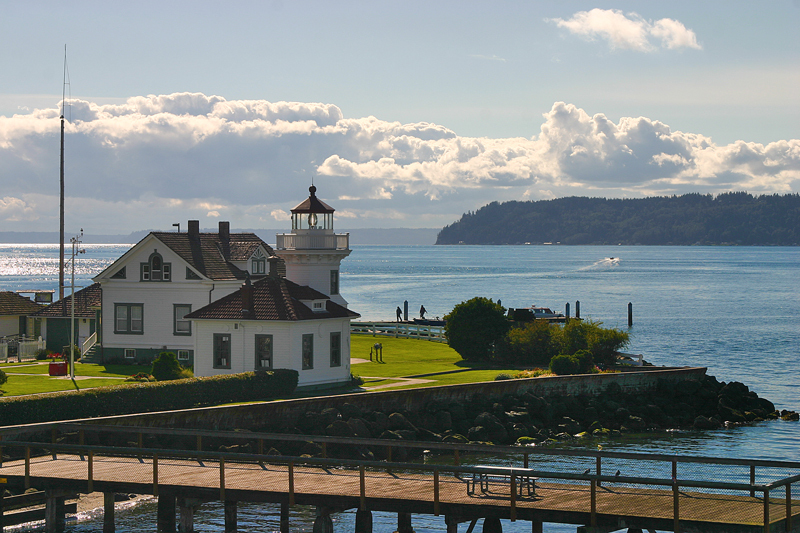 Admire the picturesque surroundings of the Mukilteo Lighthouse as you await the ferry to Clinton on Whidbey Island. All photographs ©2013 by Brian Cohen.